This is a supremely capable transducer that delivers utterly unfettered listening production facility in Tokyo, the ATH-ADX5000 represents a significant jump in cost over any other model in its range and there are some interesting developments to the design and construction of this flagship offering. 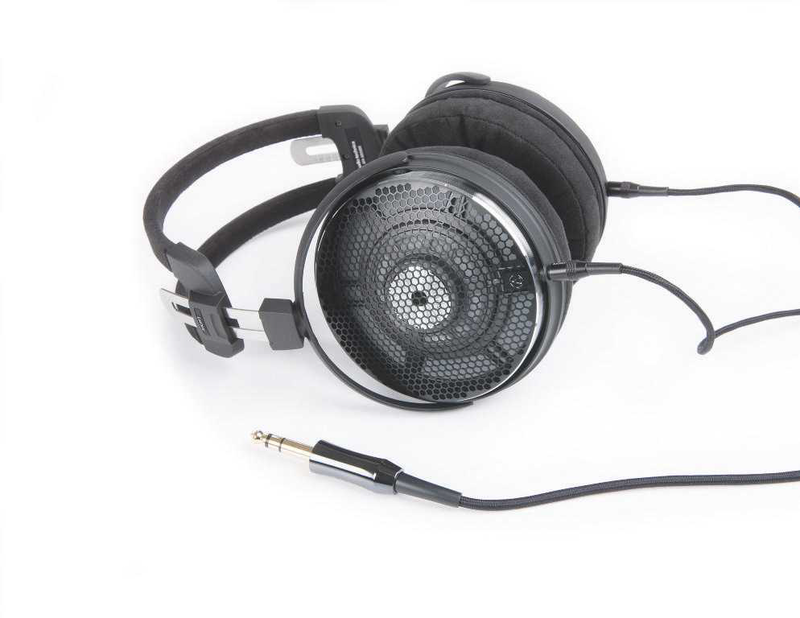 It’s a full-size, over-ear open-back design built around enclosures that mount a 58mm dynamic driver – a size which is in keeping with rivals at this price point. The driver uses a tungsten-coated diaphragm that ensures it is extremely stiff. 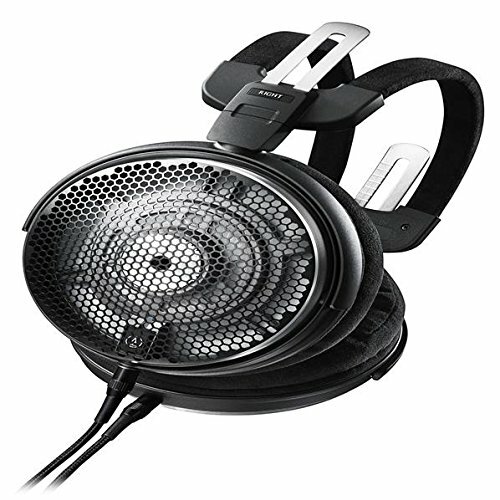 This is mated with a Permendur magnet – something we have seen before in its ATH-A2000Z headphone. Audio-Technica describes the driver as ‘integrated’ as the diaphragm, voice coil, baffle and magnet are assembled as a single unit to increase the stiffness and rigidity of the whole assembly. This is then fitted to the frame by what Audio-Technica calls ‘Core Mount Technology’, which ensures that the driver is placed in the optimal position in the frame to deliver the best possible frequency response and ensure that the airflow over the driver is optimal. As Audio-Technica claims a frequency response of 5Hz to 50kHz, it seems likely that it has indeed found the best position for the driver to deliver its impressively wide range. The frame that the drivers are mounted in shares a few similarities with some of its more affordable open-back designs, but there are several aspects that are new. It is constructed from magnesium for lightness and rigidity and the most notable aspect of this is how little frame there actually is around the drivers and indeed to the headphone as a whole. The driver housings have solid sides to control the flow of air and the dispersion of sound, but the back of the driver takes the form of a lightweight mesh. The rest of the headphone also seems extremely simple. Unlike previous designs, the ‘3D Wing support’ system has been dispensed with and a more straightforward padded headband is employed instead. The wing supports had detractors, but the design often brought a high level of comfort and in doing without them here, the ADX5000 disappoints. The pressure that the housings exert on the side of my head is fairly high and the larger size of the ear cups means that – for me at least – they partially sit on the cheek and jawbone, which feels a little odd after a while. The carry case bundled with the ADX5000 is incredibly robust you some visually more spectacular objects, the ADX5000 feels worth the money. 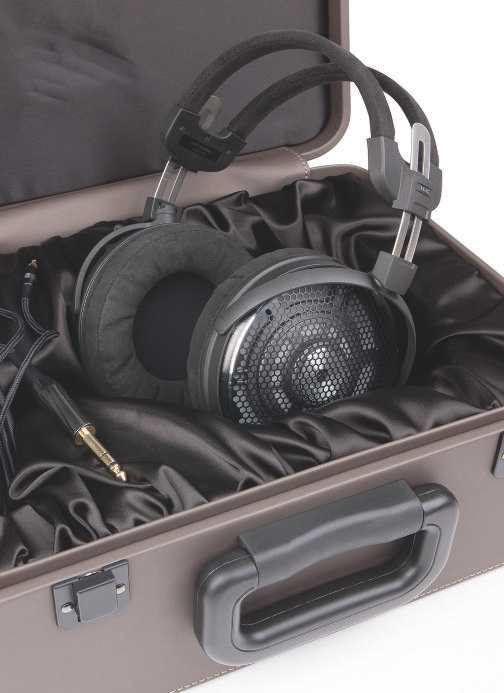 You also get a useful – if slightly excessive – hard carrying case (pictured below) and a detachable 3m cable with A2DC connections, which can be substituted for a balanced aftermarket version if your headphone amplifier allows for it. Connected to a Chord Electronics Hugo 2 DAC/headphone amplifier (HFC 428) and initially taking a feed from Qobuz Sublime+, the sound of the Audio-Technica is entirely at odds with its lightweight design. 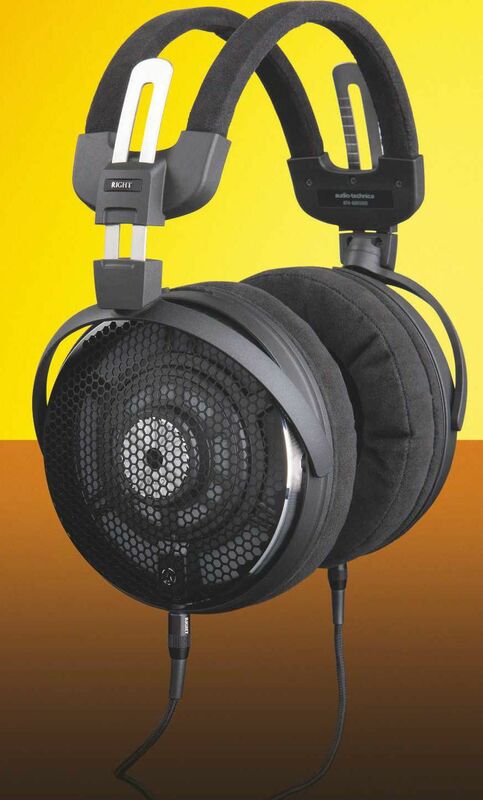 This is a big and potent-sounding headphone that has a weight and sense of scale at its disposal that allows it to handle large and powerful recordings without any appreciable sign of strain. The 24/44 stream of Leftfield’s Bad Radio is a thrillingly visceral experience. The bass is felt as much as heard and this is in itself a unique sensation because it is purely from the movement of air from the drivers while the chassis feels entirely inert. The upper frequencies are well integrated and there is a spaciousness to the sound that’s easy to hear. ES: How did you make the design of the ATH-ADX5000 so light? YK: The core of the ADX5000 includes our largest diaphragm, with a 58mm diameter, which meant we had to experiment with various designs and materials to ensure we could obtain a lightweight profile, despite the size of the diaphragm. One of our major breakthroughs was our ability to make the baffle, case and diaphragm in one unit. We also reduced the number of screw clamps required and employed magnesium injection moulding in the frame and arm of the headphones, which helps make them rigid, thin and lightweight. Is the removal of the 3D Wing support something that we will see in other models going forward? Traditionally, we use the patented 3D Wing supports for the hi-fi headphone models. This was primarily intended to reduce the pressure on the head and to enhance comfort, thanks to a self-adjusting headband mechanism. After several tests during the development of the ADX5000 we decided to challenge ourselves to remove the 3D Wing support to further improve comfort. The implementation of the wings in future products depends on whether it supports the architecture of the headphones or not, for the ADX5000 the removal of the 3D Wing support helped to reduce the weight and improved overall comfort. Are there more upmarket designs to come from Audio-Technica? Our manufacturing teams are always challenging themselves to stretch design and technology to the limits, such as developing a driver unit from scratch or designing a lightweight headphone containing our largest diaphragm. We are constantly striving to provide the highest quality listening experience; currently the ADX5000 represents the pinnacle of more than 50 years of design and development, but we never stop exploring the possibilities of high-fidelity audio. The Chopin Project in 24/96 shows this to excellent effect. The piano is believably located to the front of the listener (no mean feat when the drivers are actually on either side of your head) and effects in the recording are a perceptible distance from it. The piano itself sounds weighty and effortlessly real with the decay of notes from struck keys being particularly well handled. There is a fine sense that this headphone imparts all the scale that is actually needed without overdoing things. The real star turn is reserved for the vocals, though. Switching the Chord over to a USB feed from a Melco N1A NAS drive (HFC 397) and listening to Imogen Heap’s gorgeous The Moment I Said It is absolutely superb. Heap’s vocals make it to the ear without any sense of decoding or mechanical reproduction. She simply sounds unambiguously real and as the track reaches its crescendo, everything continues to be orderly, unfussed and completely ‘right.’ The volume level on the Hugo 2 required to achieve this is fairly high and some further listening with the ADX5000 plugged into a Naim Supernait 2 integrated amplifier suggests you will need a good headphone amplifier to really get the best out of it, but this is hardly unusual among high-end cans. less perfectly recorded material. A DSD64 vinyl rip of Wells Fargo’s Watch Out! is perfectly listenable, but the ATH-ADX5000 doesn’t entirely capture the raw funkiness of the album’s Bump Bump Babe. The ATH-ADX5000 makes for an interesting comparison with the lavishly finished (and much heavier) £2,299 Final Sonorous VIII [HFC 403). The more expensive Final is a more cosseting device to listen to. It has a smooth and unforced presentation. It is happier than the AT with lower-quality recordings and is easy to listen to for long periods. By contrast, the ATH-ADX5000 is much more dynamic – from the lowest bass notes to the threshold of audibility it manages to pull more out of recordings and at the same time, put rather less of itself into the presentation. There are points when the Final can be sweeter and more fun, but the Audio-Technica is unquestionably the more accomplished of the two designs.